American Public Health Association (APHA) Webinars. Archived webinars and upcoming training events covering public policy, the Affordable Care Act (ACA), partnership building, environmental health, oral health, and other public health topics. Recordings, slides, and transcripts can all be downloaded when available. Although the webinars are free, registration is required for some of them. Association of Maternal & Child Health Programs (AMCHP). Archived webinars and webinar series sponsored by AMCHP, including the Women’s Health Information Series, National Center for Health Reform Implementation Webinars, the Adolescent Health Information Series, and Roles for State Title V Programs in Systems of Care for Autism Spectrum Disorders Webinars. Links to audio recordings, slides, and background materials are included where available. Association of State and Territorial Health Officials (ASTHO) Maternal & Child Health (MCH). ASTHO’s MCH page includes links to archived webinars and supplementary materials. Association of University Centers on Disabilities (AUCD) Webinar Library. Webinars that have been hosted by AUCD, and a search function makes it easy to find the specific webinar(s) of interest. CALPACT, UC Davis Health System. Professional development webinars from the public health schools and programs UC Berkeley, CSU Fresno, University of Hawaii, and UC Davis. The site includes access to webinars from 2011-2013, with topics ranging from model programs to injury prevention and the Affordable Care Act (ACA). Although the trainings are geared towards professionals living in northern California, Hawaii, and the Pacific Islands, many address broad topics of relevance to MCH professionals nationwide. Center for Rural Health, Mel and Enid Zuckerman College of Public Health. These online trainings cover topics of relevance to professionals who work with populations in rural and underserved areas, particularly in the southwest region of the United States. The trainings range in duration from one hour to multiple days (for academy trainings or series). CDC Learning Connection. Provides a central location for e-learning, training information, and other public health learning resources. Includes access to the Quick-Learn Lessons page, which provides content that can be accessed from a mobile device and completed in less than 20 minutes, and CDC TRAIN, which is a customized learning management system with a comprehensive searchable catalog listing thousands of learning products for MCH professionals and the public health community. CDC Perinatal Quality Collaborative Webinar Series. Archived Webinars from 2012-13 sponsored by CDC to help the Perinatal Quality Collaboratives (PQCs) in Ohio, California, and New York share their knowledge and teach other states how to start, maintain, and grow their own collaboratives. A calendar of upcoming webinars that focus on specific perinatal quality improvement initiatives is also provided. CDC Public Health Grand Rounds. A monthly webcast created to foster discussion on major public health issues. Each session focuses on key challenges related to a specific health topic, and explores cutting-edge scientific evidence and potential impact of different interventions. Although registration is not required to watch the free webcast, you must register in order to receive continuing education credits. Centers for Public Health Education and Outreach, University of Minnesota, School of Public Health. Public health management, evaluation, emergency preparedness, cultural competence, immigrant health, and healthy policy advocacy are among the topics covered in this collection of online courses. Registration is required. Children’s Safety Network (CSN). Webinar archives on topics related to child safety and injury prevention. Viewers may watch the full recordings or view the PowerPoint slides. They can also view the calendar of events and register for upcoming webinars. Council of State and Territorial Epidemiologists, Webinar Library. This online library provides webinars on environmental health, chronic and infectious diseases, injury, surveillance/informatics, and workforce development. Each webinar features one or more speakers, links to course materials, handouts, additional resources, and sound recordings are included. Global Health Institute, The University of Arizona. Provides online training in global and public health, including workforce development, border health, minority health, and health disparities. Health Resources and Services Administration (HRSA), Maternal and Child Health DataSpeak Archived Events. A series of online conferences that feature special topics related to MCH data, including surveillance, evaluation, and analysis. Each event features one or more speakers who are considered experts in their field. Users can download recordings of the events, text transcripts, speaker presentations, agendas, speaker contact information, and additional reference materials and readings. Interdisciplinary Technical Assistance Center on Autism and Developmental Disabilities. Training Toolbox contains innovative and time-tested training strategies on a variety of topics relevant to leadership and Maternal and Child Health. The strategies are categorized by topic, which makes it easy to browse and compare different training methods. The toolbox was developed by the Association of University Centers on Disabilities (AUCD) through a cooperative agreement with the Maternal and Child Health Bureau. Maternal & Child Health Public Health Leadership Institute. The MCH Public Health Leadership Institute offers online learning modules for leaders of MCH populations in areas such as peer coaching, cultural competence, adaptive leadership, effective MCH partnership building, and MCH systems in the United States. The modules consist of slide presentations narrated by leaders in the field. Michigan Public Health Training Center. Distance learning courses, webcasts, and archived webinars on topics of interest to MCH Professionals. Health equity, environmental health, home health, childhood obesity and healthy eating, evaluation planning, and emergency preparedness are among the topics covered. The MidAtlantic Public Health Training Center, Public Health Practice Grand Rounds, John’s Hopkins Bloomberg School of Public Health. Archived Grand Rounds webcasts for public health professionals dating from 2007-present. Topics include violence prevention, sexually transmitted infections (STI’s), disaster preparedness, the Affordable Care Act (ACA), vehicle safety, college drinking, and other health issues. Midwest Center for Life-Long Learning in Public Health. Online courses cover cultural and health literacy, immigrant health, environmental health, data translation, public health policy, behavioral interventions, and other topics of interest to MCH professionals. National Academy for State Health Policy (NASHP). Webinars and webinar series presented by NASHP on topics such as state health reform, Affordable Care Act (ACA) implementation, health coverage and access, Medicaid and CHIP, federal and state issues, underserved populations, providers and service, quality and cost, and health system performance. Recordings, slides, and agendas can be downloaded where available. National Institute for Health Care Management (NIHCM) Maternal, Child, and Adolescent Health Webinars. An archive of webinars hosted by NIHCM on key topics in maternal, child, and adolescent health. In addition to the downloadable recordings, viewers can access slides, presenter biographies, agendas, and evaluation forms (where available). Northwest Center for Public Health Practice, University of Washington. This center offers online trainings, certificate programs, toolkits, exercises, and guides to in-person and customized trainings to help the public health workforce stay up-to-date on the latest research and best practices. The site’s search tool allows users to search by topic, format, currency, and series (for example, the Maternal and Child Health webinar series). Partners in Information Access for the Public Health Workforce Education and Training Opportunities. This site serves as a gateway to public health education and training sites, including continuing education, upcoming events, webinars, certificate programs, graduate education, fellowships and internships, and educational resources related to education and training. Public Health Learning Network. The PHLN is a comprehensive system of public health educators, experts, and thought leaders. Their network of ten university-based regional public health training centers and 40 affiliate training centers (or “local performance sites”) focuses on skills-based training in communities across the United States, Puerto Rico, U.S. Virgin Islands, and U.S. territories. Public Health Live – On Demand, University at Albany, School of Public Health. Offers dozens of public health courses on demand, organized chronologically from the most recent to 2007. Many of the courses focus on maternal, child, adolescent, and family health. The courses are listed in table format, with the topic/title, broadcast date, available formats, handouts, and CME/CMU credit (if any). Public Health Training Centers Network. Provides access to hundreds of trainings covering topics such as leadership and management, epidemiology, and basic public health skills. There are also resources and publications with tools and information relevant to public health practitioners. Trainings are searchable by keyword or phrase. Society for Public Health Education (SOPHE) Webinars. Each of the archived webinars on SOPHE’s website includes a downloadable recording, presentation slides, and a request for continuing education credit. A calendar of upcoming webinars is also provided. South Central Public Health Partnership. Online courses on public health topics such as environmental health, emergency preparedness, risk communications, maternal and child health, environmental health, cultural competency, and leadership skills. Some of the courses are part of certificate programs. TRAIN. 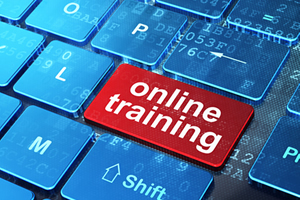 The TrainingFinder Real-time Affiliate Integrated Network, or TRAIN, is the nation’s major learning resource for professionals who protect the public’s health. TRAIN is comprised of the national www.train.org site and participating TRAIN affiliate sites. Affiliate sites are managed by many state public health agencies, academic partners, and others. As TRAIN grows, it serves a larger portion of the U.S. public health workforce. CDC TRAIN. Provides access to learning products for the public health community, which includes public health agencies, as well as hospitals, clinics, private practices, and community-based organizations. The Women’s and Children’s Health Policy Center. Online course offerings include the Maternal and Child Health Leadership Skills Development series together with supplemental materials such as a user’s guide, case studies, and additional resources. The site also links to John Hopkins Bloomberg School of Public Health’s OpenCourseWare (OCW), which offers content of potential interest to state and community level governmental agencies and non-profit organizational partners in public health.